Life's too short to waste time waiting on hold. We're completely independent of the taxi companies, which mean you receive a taxi in the shortest possible time using the most appropriate taxi company – rather than only sending bookings to taxis that we own. Cabs4me provides a convenient, single point of access to all of taxi subscribers. 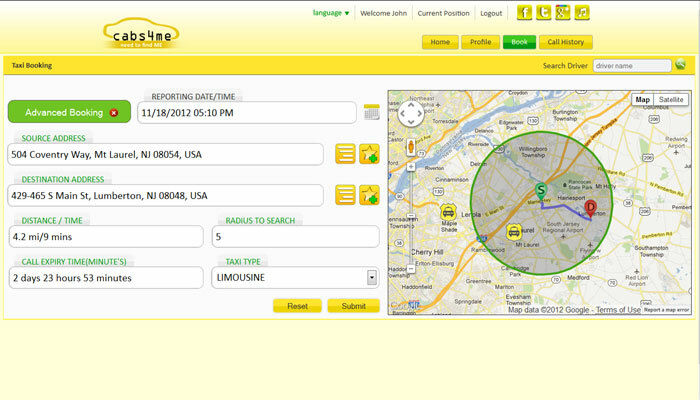 Cabs4me is most sophisticated and globally acclaimed taxi dispatch system provided by taxi subscribers. Cabs4me provide technology which allows online communication between taxi drivers and customer, which is fast, secure, affordable and economical tariff through tamper proof electronic fare meters. Trusted and preferred taxi service brands are provided for customer satisfaction and safety. 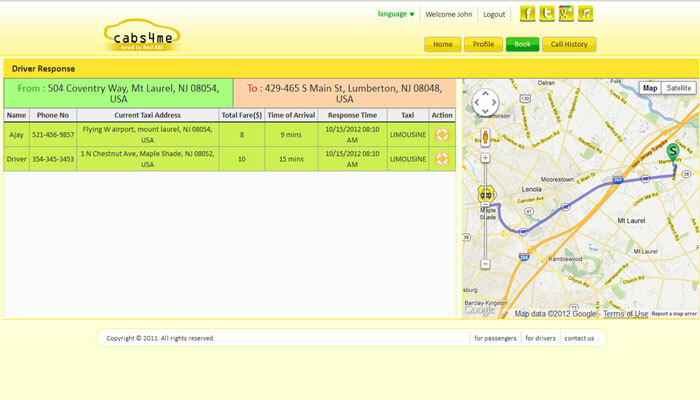 Cabs4me provides a way of providing feedback by rating taxis and drivers to make services better. Business can schedule their events for free using online service. With out flexible scheduling model, you can sell a HopTheLine (HTL) Pass ahead of time, or at the start of an event. Whenver you schedule any event we send promotion mail to your customers. Cabs4me allows you to save time and money by less efforts and less time with It's easy and effective process. 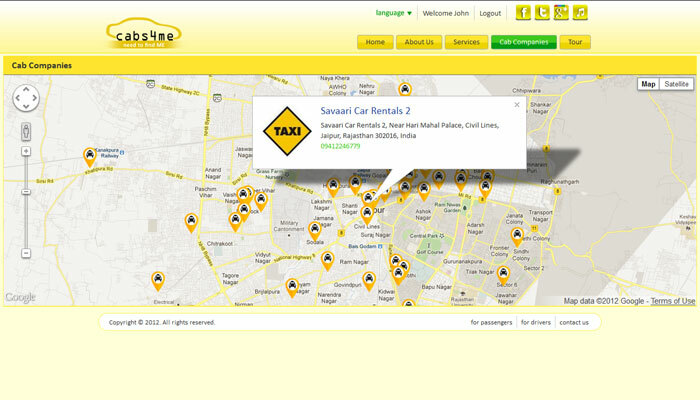 You can send request to specific and nearest available taxis for your journey even you can choose your taxi type too. Cabs4me allows you to make your journey much comfortable by it's advance booking system. In Cabs4me's advance booking system you can send request to your favorite drivers with a selected taxi type and you can get benefit of our bidding system in advance booking too to save your money. 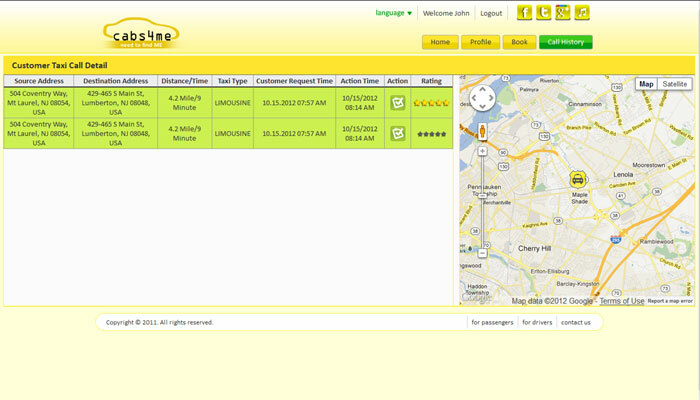 Cabs4me makes It's users happier because once a booking is made the passenger can track the ride. Time of arrival is estimated and once a job is started the passenger can see the exact location of the taxi on the map! Cabs4me provide new ways for your passengers to reach you. Passengers can book or hail your cars from the Cabs4me smart phone app. Manage bookings and track payments at anytime from anywhere. Obtain passenger details at the click of a button. Restrict bookings within specific number of hours. Restrict pickup and drop off locations. Our Technology provide a single point , where all Taxi Drives are visible on google map with Their Taxi's. These Taxi Icons on Map are dynamic with movement of Taxi drivers from one place to other place. Taxi Drives position is updated automatically on portal . These moving Taxis are visible to Customer , accordingly customer can make his call or call to near by taxi driver. 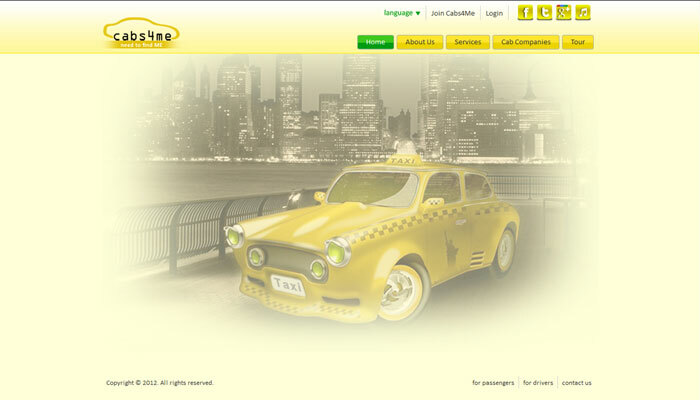 Cabs4me provides a convenient, single point of access to all of taxi subscribers. Driver and customer can login using unique userid and password and perform functions. Customer and user can signup through signup process. Driver and customer fill their personal detail in this form. 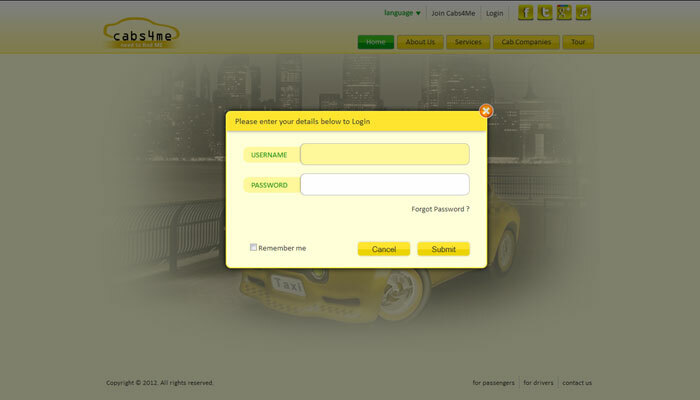 Driver and customer fill and confirm their details such as name,email,phone,address and login name. Cab Companies screen shows multiple taxi companies with a particular radius. Customer request detail show all trip request which its requested. Customer taxi call deatils show all the customer calling deatils such as source and destination,ranking and action. 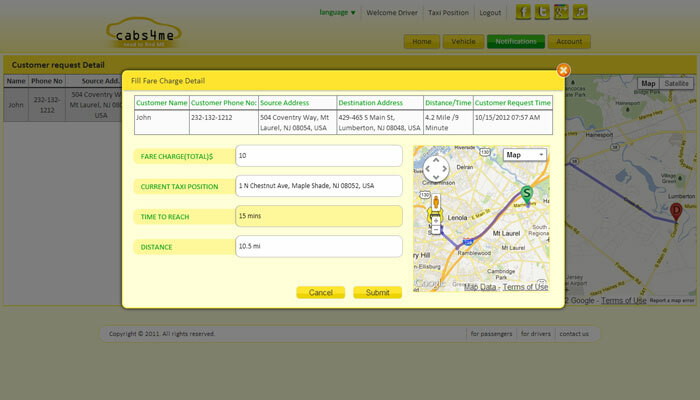 In Taxi Booking form customer fill details for call a taxi such as source and destination,time and taxi type. 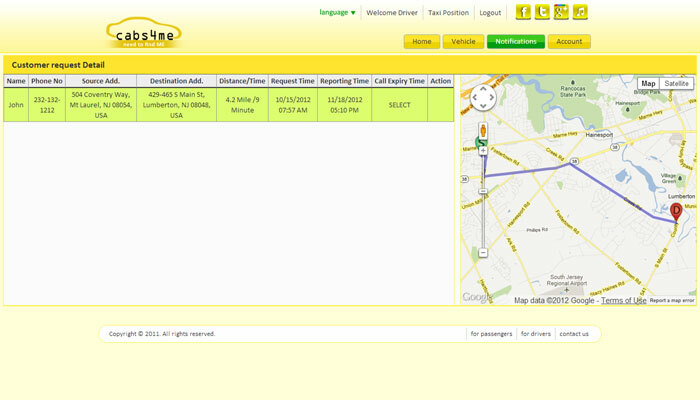 In Driver response, driver response for customer request for taxi calling with own arrival time and charges. Driver fill charges deatils for all or particular call and for customer response. Customer gives feedback to driver in ranking and comment form.